Michigan Trooper and a fleeing suspect both survived a terrifying fall of a bridge. 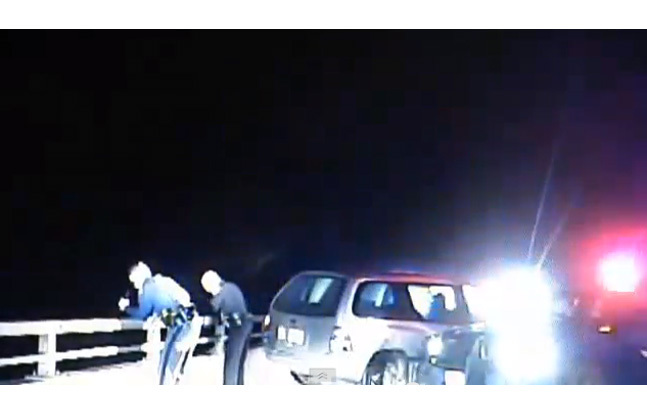 Dashcam video has been released showing an incident in which a Michigan State Police trooper and a suspect fell from a highway overpass. The trooper was chasing after the suspect who fled on foot from a vehicle following a pursuit the night of Nov. 1 in Saginaw County. The suspect then “exited his vehicle and climbed over a guardrail on a freeway overpass,” according to officials.